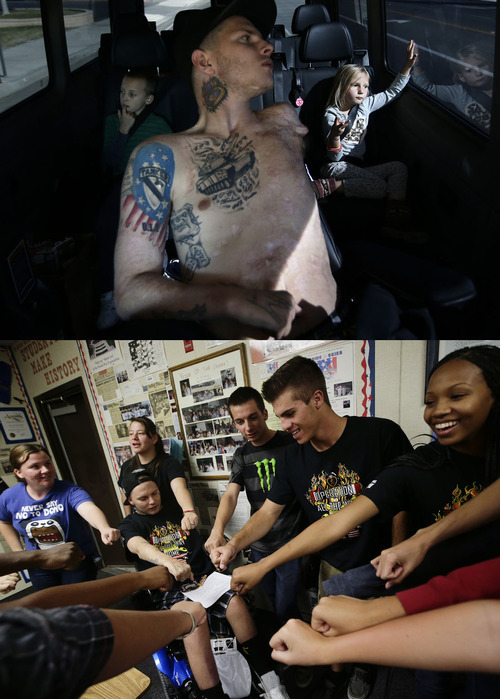 Jerrall Hancock of Lancaster, Calif., is a wounded warrior, a soldier who came home from Iraq paralyzed and severely burned on the majority of his body. He has two young children and was in desperate need of handicap-accessible amenities at his home. Seniors at a local high school learned Hancock was stuck in a modest mobile home for months, unable to travel the 70 miles to the nearest VA hospital in Los Angeles to have his bedsores treated or his rotting teeth fixed. They decided to build a new home for Hancock, one that was handicap accessible and allowed him to live a better life. So far, the students have raised $254,000 through local fundraising. Blueprints have been drawn up for the new house, which is slated to break ground next month. They are our future. God bless them all.